Do you need your home tidied in a fast, easy, and affordable way? If you need to clear off a large volume of rubbish from your home as a result of a construction, renovation, or even getting rid of old belongings, you need to obtain the services of a reputable skip bin hire company in Adelaide. Clearing out a massive amount of garbage does not mean that you can simply place them in large plastic bags to be left on the curb to be collected by your city’s waste management trucks. 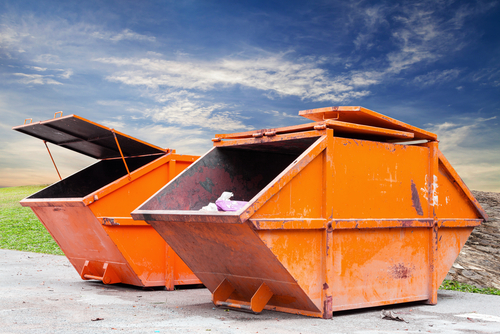 You need a dependable rubbish bin hire company that offers short-term and long-term rental of skip bins. Here are some criteria to consider when looking for mini skip hire rentals in Adelaide. Two to four cubic metre mini skips are excellent for small-scale home clearance activities such as remodeling and landscaping. Five to six cubic metres are ideal if you wish to dispose large but bulky items such as wooden furniture and soil. Lastly, eight to nine cubic metre skip bins are for general construction projects or home extension activities that are expected to produce large volumes of waste for an extended period of time. If you don’t have extra space within your property that can accommodate a skip bin hire, you will be required to obtain permits from the city council. An experience and reputable skip bin company in Adelaide will assist in securing the necessary permits as part of their rental packages. A reputable mini skip company in Adelaide follows ethical waste management and disposal rules. Skip bins are generally used in the transport and disposal of general waste products. A reputable firm will instruct its clients that hazardous waste materials such as metals, asbestos, rubber, paint and chemicals should be handled by a different waste management firm. They will be more than happy to refer you to the nearest firm that specialises in the transport and disposal of hazardous waste. If you need to bring your rubbish at the dumpsite soon and need a skip bin for hire, give us a call to request a quote on 08 8325 3033 today.